In the past, players were presented with just two options if they fancied a trip to the casino. You could either play online or visit a brick-and-mortar casino. Not any more. Players can now benefit from the best of both worlds, thanks to live dealer casinos. Our list of the best live dealer casinos can help you pick the perfect site for you, allowing you to enjoy the environment of a land-based casino from the comfort of your own home, or wherever else you like if you play on your mobile. Enjoy real interaction with a live dealer of your choice, as well a superb range of games and game variations. Want to boost your live casino bankroll? Claim a live casino welcome bonus to maximise your enjoyment. So what are you waiting for? All you need to do is compare casinos and sign up to your favourite to play live dealer casino games today. Our recommend live casinos have a huge range of games, variations and table stakes, plus HD streaming and mobile support. There’s something for everyone to enjoy! Roulette is the original live casino game. Find your perfect live roulette casino today. Will you beat the dealer at the Live Blackjack table? There's only one way to find out. The high-roller's favourite, Baccarat is available at a range of top UK live casinos. Why play live dealer casino games? Wondering how live casinos work? It’s pretty simple: live dealer casino tables are games run in real time by human dealers and broadcast via webcam over a live stream. Fortunately, it’s only a one-way stream, so you can leave your black tie in the closet – no one will see you playing blackjack in your pyjamas. 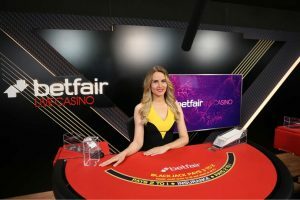 You’ll take a virtual seat at the table alongside fellow players and, in most instances, you’ll be able to communicate with your croupier via a live chat box. Wheel spins, card shuffling and hand distributions in a live casino game are all performed using real casino equipment. All it takes for you to see these actions in real time is a webcam, but the technology that transmits this information to the console on your device is a little more sophisticated. Live casinos use optical character recognition (OCR), which is a common method of digitising printed texts. So if you play poker, you’ll probably notice your dealer running your cards over a red scanner before dealing them. The scanner reads the numbers on a card so that they can be displayed on your device, allowing you to receive your hand and place your bets much like you would at a brick and mortar casino. Where are the live streams broadcast from? 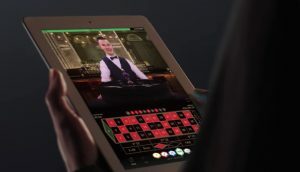 The streams are often broadcast from purpose-built studios that are designed to look like casino floors, but some operators stream live dealer games from real land-based casinos. Is the gameplay different from standard online casino games? 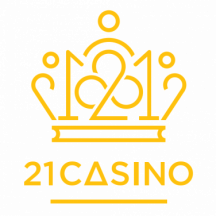 While plenty of players enjoy random number generator (RNG) controlled online roulette and blackjack games, we think live casino games are the superior alternative. Let’s take a closer look at some of the perks of playing with a live croupier. Software is the first, and most notable, difference between RNG and live dealer games. Standard online casino games use RNG software to determine the outcome of games, which determines the results of every roulette wheel spin, card shuffle and dice roll. When playing live dealer, you’ll still place your bets using the online interface, but you’ll be playing against a real live dealer with genuine casino equipment, rather than being pitted against a computer game. Games with live dealers are played at a slower pace than traditional online casino games, comparable to that of a land-based casino. So when the dealer announces “no more bets”, you’ll usually find that the betting buttons will become inactive. You’ll have to have a little patience if you’re looking to make a quick buck, but a slower pace can often leave time to enjoy the game and talk to other players between spins. Some of us play purely for the prospect of a big win, while others play for enjoyment. Live dealer casino is definitely the better option for players that fall in the latter category. The ability to chat with fellow players and the dealer makes live croupier games the most enjoyable experience for more sociable players. Much like a video game, the more realistic, the better when it comes to online casinos. The sights and sounds of flipping cards and spinning roulette wheels provide an authentic, exciting soundtrack to your gameplay, and make live casino games among the most immersive on offer at many of the UK’s top online casinos. There’s a great range of games available at live casinos and the UK’s top online casinos add new games on a regular basis. The current crop of live dealer games includes classics like roulette and blackjack, as well as lesser known games such as Dream Catcher and Dragon Tiger. Let’s take a closer look at the most popular live dealer tables to help figure out which game is perfect for you. Of all the classic table games, roulette is the most simple, making it the perfect option for your first time at a live online casino. Simply place your chips before the dealer spins the iconic roulette wheel. You’ll find the European roulette variation at virtually every live dealer site and you’ll be glad to know it features a lower house edge than its American counterpart, which features a 38th pocket on its wheel. Not all gambling sites offer a good range of roulette variants, but between them, the top online casinos offer some exciting twists on the classic game. This includes Evolution Gaming’s ‘Live Lightning Roulette’, which adds high-payout RNG ‘lucky number’ wins to every game round, and ‘Speed Roulette’. However, if you’re looking for the best return on your roulette wagers, you’ll want to keep an eye out for roulette games with the ‘La Partage’ rule. This rule reduces the house edge as you’ll receive half of your stake back if you place an even money bet and the ball lands on zero. Much like its RNG counterpart, live roulette tables provide players with the best table limits of any casino game. Some tables allow you to place as little as 10p on inside bets, while even money bets such as red, black, odd and evens have six-figure limits at some casino sites. By far the world’s favourite card game, blackjack is one of the few casino games that gives the player a chance to decide the outcome of the game. It’s your hand against the dealer’s in a race to 21. If the cards you’re dealt don’t land you a winner, you’ll be able to hit, stand, fold or double down. Blackjack, like roulette, is a simple game. There are fewer betting options than games like craps and less opportunity for huge differences from the traditional game. However, there are a number of versions featuring unique rules and features, as well the addition of side bets, which are great options for players looking to spice things up a little. These variants usually feature at least one of the following side bets: Perfect Pair, 21+3, Royal Match, Super Sevens, Lucky Ladies and Insurance. Evolution Gaming’s ‘Live Infinite Blackjack’ is one of the better options when it comes to live dealer blackjack. It features unlimited seats, low betting limits and pays out on four optional side bets: Any Pair, 21+3, Bust It and Hot 3. Plus, with the Six Card Charlie rule that sees the casino payout on six-card hands of 21 or under, there are enough ways to win to keep you entertained for hours. However, it’s important to remember that the return to player (RTP) for these side bets is much lower than that of the main blackjack bet alone, which makes them a much more risky wager. Blackjack is a popular game for casino players that employ strategies. Each variant has its own optimal strategy that tells you when to hit, stand, split, surrender or double down. The flat betting system is by far the most simple; all you need to do is bet the same amount of money every hand, whether you win or lose. This means your bankroll can’t be quickly decimated by losing streaks, unlike negative progression systems such as the Martingale. Alternatively, players could employ a card counting strategy, which is based on the premise that high-value cards (i.e. 10 and upwards) are more favourable to the player than the dealer. RNGs are used to shuffle and deal cards in standard games of online blackjack, so live dealer tables are the only online game that allow card counters to operate. The fast-paced game of Baccarat is Asia’s favourite table game and is also popular amongst UK players. While most top live casinos feature some form of the game, it doesn’t receive the same great coverage granted to the more popular blackjack and roulette tables. At casinos that do offer baccarat, you’ll almost always find Punto Banco, a variant which sees all players play against the banker. The premise is simple, guess which hand will score closest to 9. You’ll be able to wager on the banker’s hand, your own, or a tie. While gameplay remains largely similar from casino to casino, you’ll find different side bets on offer depending on the software house that developed the game. Evolution’s Live Baccarat Squeeze incorporates over 15 cameras that capture every moment of the game. Plus, the squeeze feature adds suspense as the dealer slowly reveals the value of the card. This doesn’t impact the outcome in any way, but is a great way to build tension and make the game just as enjoyable online as it is in a land-based casino. You can even take the squeeze into your own hands, thanks to Evolution’s Live Baccarat Control Squeeze; simply click or tap on the corner of any card to peel back the animated overlay on the game’s interface and reveal the card value. While Control Squeeze is a unique title, most software providers offer speed baccarat which ups the pace with face-up cards and shorter gaming rounds.  You can also expect to find live baccarat tables that offer the following side bets: player pair, banker pair, perfect pair, either pair, player bonus and banker bonus. Poker is one of the few options at a casino that’s considered a game of skill. Fancy facing off against the dealer? That’s exactly what the UK’s top live casino allow you to do; Casino Hold’em, Texas Hold’em, Caribbean Stud and Three Card Poker are all designed for player vs dealer gameplay, rather than the player vs player face off you might have expected to find. If you’re a complete newcomer to poker, you’ll want to get familiar with the basics before placing any real money wagers. Each variation has its own betting options, hand rankings and unique gameplay twists, so it pays to be in the know. Evolution boasts the most comprehensive coverage of the live poker category – it’s one of the few software houses to provide Three Card, Casino Hold’em and Caribbean Stud variants of the game. Live dealer casinos burst onto the scene thanks to late night TV exposure on Channel 5. There was a very limited choice of tables and presenters, and the authentic land-based casino atmosphere was severely lacking. The concept has come a long way since then and, while you can still play via the TV, it’s most common to choose your live dealer from your laptop, tablet or mobile phone at an online casino site. This fresh new approach has reinvigorated the live casino space and given players a huge choice in where to play, as well as highlighting the range of games that are available. In addition to your standard roulette game, you’ll find blackjack, baccarat, craps, casino hold’em and more. Innovation in live gaming like Evolution Gaming‘s Dream Catcher continues to extend the appeal to new audiences. New casinos are increasingly expected to provide live dealer games as standard and when this is combined with their fast loading times, innovative branding, generous bonuses and excellent mobile experience, these young casino upstarts can be some of the best places to play live dealer games. As live casino becomes more popular, live dealer casino sites are improving bonus offers to stand out from the crowd. The bonuses are designed to attract new customers, as well as reward existing players for their loyalty. Casino bonuses work the same on live casino games as they do on their RNG counterparts; you’ll just have to read the terms and conditions to ensure there are no restrictions when it comes to using your bonus funds. In some cases, you can’t play live dealer games with bonus funds, while other casino sites offer bonuses exclusively for live casino games. Some casinos offer to match your first deposit (limited to a certain figure), while others are generous enough to give new players a no deposit bonus. A no deposit bonus is exactly what it sounds like: you can claim your bonus funds before making your first deposit. While you might be lucky enough to come across a no wagering live casino bonus, these are pretty hard to come by, and you’ll almost always be required to fulfil wagering requirements on any bonus winnings. This means you’ll have to wager your bonus winnings a certain number of times before you can withdraw them. For example, if you have a £20 bonus with 40x wagering requirements, you’ll need to stake a total of £800 before you can withdraw your bonus winnings. While you may find different interfaces and dealers across different casinos, it’s unlikely that you will find a live casino game that’s exclusive to just one casino. In most cases, the live dealer software and all associated services are outsourced to a third party provider. Among these providers are some of the largest RNG software developers, including Playtech, Net Entertainment and Microgaming, as well as some live game specialists such as Evolution. Each provider brings something different to the table, so you’ll need to try a few different options to find the perfect match for you! Evolution is seen by many as the world’s leading live casino provider. Unlike other live software developers, Evolution doesn’t produce RNG table games or slot titles, instead focusing their efforts on creating some of the best live casino games available online. The software house offers the widest selection of live table games in the world. These are streamed from purpose-built, state-of-the-art studios in Latvia, Malta and Canada. Evolution’s impressive portfolio includes standard titles such as Live American, European and French roulette, as well as some innovative titles that are unique to the brand. Immersive Roulette features multiple cameras that allow you to get up close to the action and follow the movement of the ball in 200 frames per second HD. When the ball lands in a pocket, you even get a slow-motion replay of the winning number. The popularity of the game hasn’t gone unnoticed; operators voted Immersive Roulette EGR’s 2014 Game of the Year. Live Double Ball Roulette is another title that was debuted by Evolution. Which introduces two balls, providing two winning numbers and more frequent payouts of up to 1,300 to 1. and Mini Live Roulette. Aside from the two fan favourites, Evolution Gaming also offers live versions of Dragon Tiger, Dream Catcher, as well as Casino Hold’em, Caribbean Stud and Texas Hold’em versions of poker. You’ll have the ability to play at up to four of Evolution’s live dealer tables at once, with the exception of Immersive Roulette. All things considered, it’s hard to look past Evolution Gaming as the top provider of live casino software, though sic bo is a notable omission from their gaming library. Playtech is the largest supplier of live casino games in Europe and Asia. The software house claims to offer the fastest streaming on the market, using hundreds of state-of-the-art camera from its three major global studios. It should come as no surprise that Playtech offers a solid range of live casino games; the software house has a great reputation after almost 20 years of developing high-quality online casino software. You’ll find casino classics including blackjack, roulette, baccarat and Casino Hold’em, three of which can be played simultaneously thanks to the Live Multi-Game feature. A title that’s unique to the brand is Live Age of the Gods Roulette, which has four progressive jackpots that are funded by gameplay across all the Age of the Gods titles on Playtech’s network. As you can imagine, this means jackpot winners can expect to receive some huge payouts. Playtech is also one of the few software providers to Live Sic Bo, Hi-Lo and 3 Card Brag. you’ll have to play outside of Europe. NetEnt completes the list of ‘big three’ software providers that includes Microgaming and Playtech. 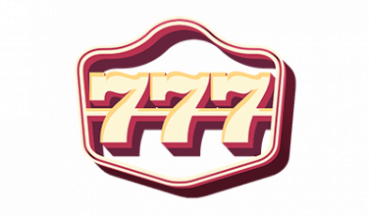 The Swedish company was founded in 1996 and has grown to become a leader in the industry, boasting a collection that features iconic slot titles such as Gonzo’s Quest, Starburst and Dracula. When it comes to live games, NetEnt is focused on developing the top mobile live casino available online. An easy-to-use interface and the ability to play in either portrait or landscape mode make NetEnt tables perfect for players on the go. Plus, there are a few unique features that online casino players are sure to appreciate. One example is the ability to place bets during live roulette spins, which means you won’t be under pressure to keep up with the fast-paced gameplay set by the croupier. Another characteristic unique to NetEnt is its Chroma Key technologies, which allow the firm to present live tables in different environments using a green screen. However, NetEnt’s games library is relatively small in comparison to the likes of Evolution. Blackjack and roulette are currently the only table game categories that receive live coverage. 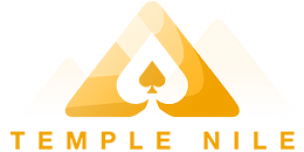 Fortunately, most top online casinos feature NetEnt games alongside a collection of live dealer tables from other software providers, so you won’t have to depend on NetEnt alone to keep you entertained. Founded in 2013, Extreme Live Gaming is a relatively new addition to the industry, launched with a mission to take live casino games to a new level. 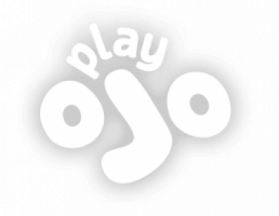 The company is owned by Pragmatic Play, after being acquired from the Novomatic Group in 2018. It has enjoyed success thanks to the innovate features and gameplay options that are offered in their live blackjack, roulette and baccarat tables. Extreme’s collection of roulette games is among the best of any casino software house, boasting more exclusives than any other competitor. Golden Ball Roulette is its main attraction and is popular amongst casino players for its various cash prizes and monthly tournaments. Reel Roulette, on the other hand, is an exciting twist on the casino classic that provides the option of placing side bets on symbols from Novomatic slot games, such as the Book of Ra, Lucky Lady’s Charm and Dolphin’s Pearl. Online casinos often allow players to get familiar with traditional online games through free play mode. This is an excellent option for new players who want to get a feel of the game before risking their hard-earned cash. You’re unlikely to find free-play live casino games – sorry! Unfortunately, most casinos don’t offer free versions of live dealer games. With purpose-built studios and live dealers working round the clock, the operational cost is much higher for live casino games, so they are reserved for paying customers. Still, the limits for live casino are often lower than those found at your local casino, so you won’t have to break the bank if you’d like to get involved. If you’re a new player looking to learn the ropes before hopping straight into a real money live dealer game, playing RNG games for free is a great way to become familiar with the rules, gameplay and controls featured in your favourite online casino games. Now that you’re in the know, you’ll want to jump into some live casino action. It goes without saying that what, where and how you play is entirely up to you – your choice ultimately comes down to personal preference and playing style. There’s a huge amount of options when it comes to choosing where to play. Fortunately, we can help make your decision an easy one. We’ve tested, reviewed and ranked the top UK online casino sites, so whether you want to make a deposit with e-wallets like PayPal or you’re simply looking for the biggest welcome bonus – we have it covered. Play within your limits and most importantly, remember to have fun. Good luck! Can I play live casino games on mobile? Yes. Many online casinos provide mobile support for their best live casino games, so you can enjoy an authentic casino experience on the go! Can I play live casino games at any time of day? Yes, the best online casinos offer live dealer casino games 24/7.  Is it safe to play at a live online casino? The best way to ensure your safety is to play at a legitimate, trustworthy casino, such as those on our list of UK regulated casinos. All casinos hand-picked by us hold a valid licence with the UK Gambling Commission. Some of the most sceptical casino players prefer playing at live casinos as the outcome isn’t decided by a random number generator, unlike virtual casino games. 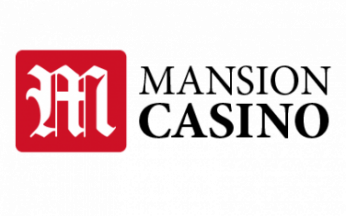 With professionally trained croupiers, it can be reassuring to see a live croupier decide the outcome right in front of you, but in reality, all versions of casino games are on par when it comes to safety. All UK licensed casinos undergo the same vetting process to ensure players can experience a safe and fair online casino environment. As you may already know, licensed casinos put this software through rigorous tests to prevent any unfair gameplay, so you’re always guaranteed fair results. However, many find it easier to trust a live casino with a human dealer. Live croupiers allow players to see the game unfold before their eyes, whether it’s shuffling blackjack cards in the view of players or spinning the roulette wheel.